It’s time to celebrate the dads in your life! I like my celebrations with wine, but thought the dads of the world would prefer a different type of glass showcasing how awesome they are. 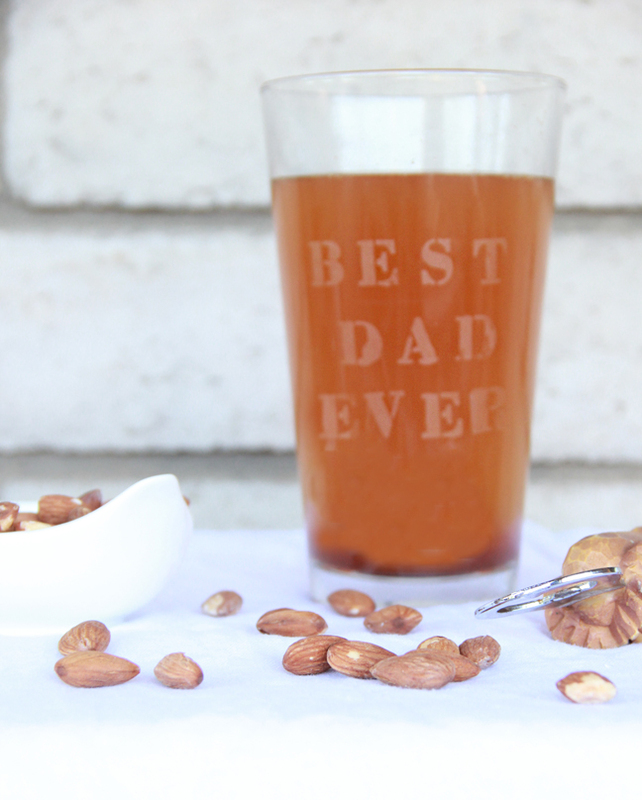 Although in the spirit of full disclosure, my husband is more the sweet appletini drinking type, but you can use this pint glass for water—so it will still be loved for Father’s Day by any non-beer drinker out there! 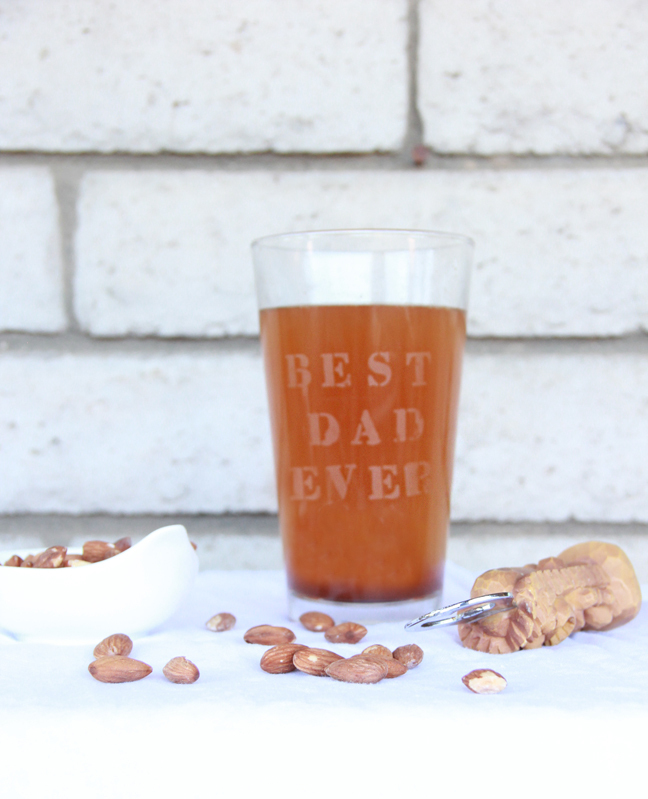 Here’s an easy tutorial to make a DIY etched pint glass for Father’s Day. 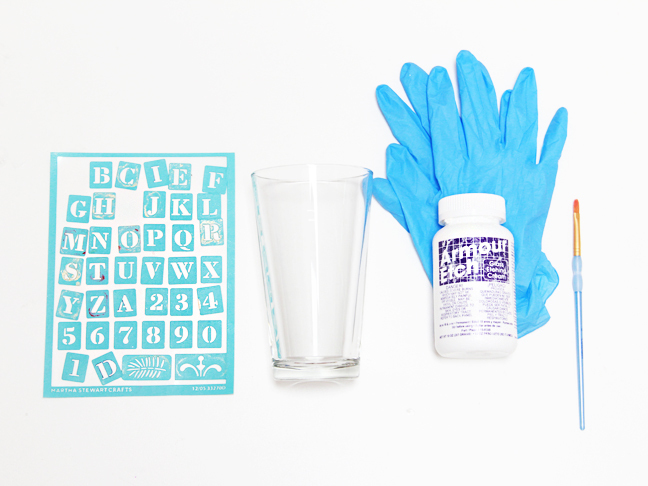 Step 1: Choose your favorite dad saying and apply your stencils. 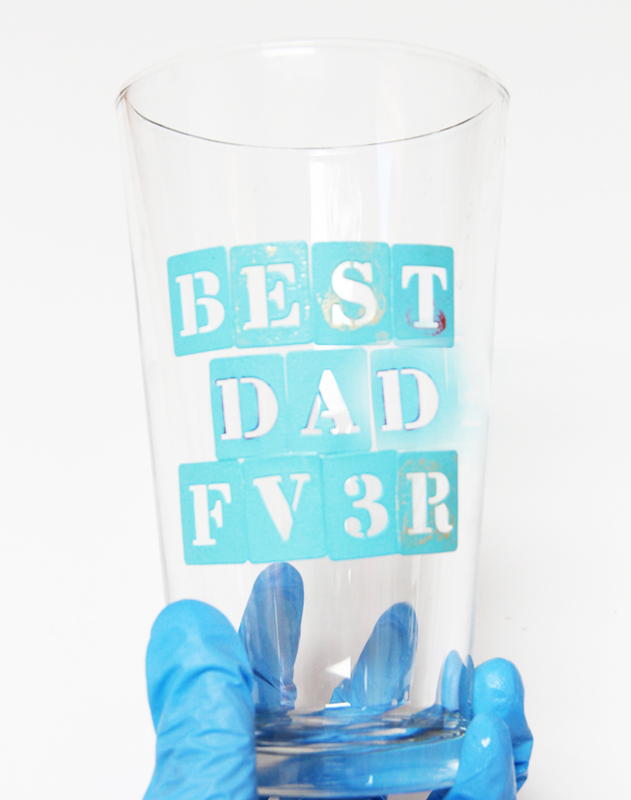 I chose “Best Dad Ever”! If your phrase requires multiple use of the same letter, use an alternate letter as a placeholder to ensure the correct spacing in your phrase. You do not want to have to buy multiple sets of the alphabet sheets! Step 2: Apply etching cream with a paintbrush. Leave etching cream on for fifteen minutes and rinse with water. 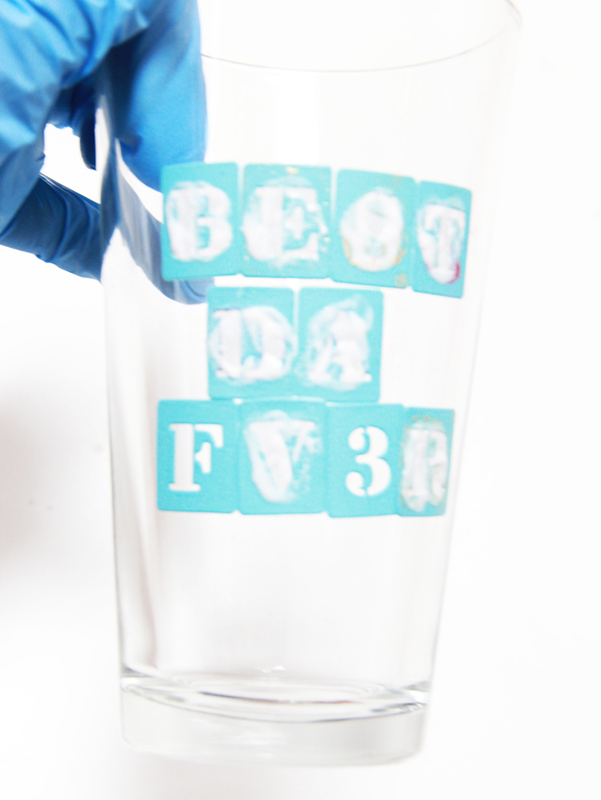 Step 3: Peel off the stencils and reveal your phrase.